http://www.electkathyhoffman.com/. Democrat Kathy Hoffman hopes to challenge current Superintendent Diane Douglas, a Republican. Tempe Councilman David Schapira is also seeking this seat in the Dem primary. 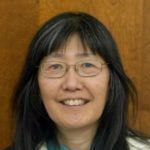 Kathy’s educational background includes a Japanese immersion program through Portland Public Schools. She then attended the University of Oregon, where she studied both Japanese and Spanish. She moved to Tucson in 2009 and taught preschool/pre-K students and became interested in special education services. She decided to study speech-language pathology at the University of Arizona as a way of supporting students with a wide range of needs, from bilingual and English-learning students to children on the autism spectrum. Kathy worked in Tucson’s Vail School District for three years, and more recently has moved to Phoenix, where she works in the Peoria Unified School District at a Title I K-8 elementary school. She has worked tirelessly to improve students’ communication skills including speaking, listening comprehension, and social skills. Throughout her professional life, she has collaborated with teachers, administrators, specialists, and parents to provide the best possible solutions for students. Kathy has spent about 7 years in Tucson teaching preschool, attending U of A, then working as speech pathologist in Vail School District. She is bilingual in Spanish and Japanese, and now lives in Peoria with husband who is attending medical school. Will be running as Clean Elections candidate and her mantra is “Arizona’s future starts in our schools”. Her 3 priorities are 1) invest in students, 2) inclusion for all and 3) competitive pay for teachers. She is against the voucher bill legislation which passed in 2017, decries the 18% graduation rate of EL students in Arizona and low teacher pay, leading to attrition. Questions from about 30 audience members: opinion on free college tuition for teaching majors; how change Az legislature to more Dems; how deal w/ hi tech companies & developers that don’t bank on education; how get educators involved politically; how teach students to be critical thinkers vs. just techies; why better candidate in the Dem primary for Superintendent; what was EL grad. rate before 2003; any administrative experience; how restore $2.1 M education funding cut from budget; need for quality neighborhood schools, knowledge of community schools, position on vouchers, public vs. private schools and charter schools. LD 9 House Rep. Pam Powers Hannley present. Kathy made one mistake in stating that Dr. David Garcia did not carry Pima County in his Supe race in Nov. 2014. (He did, 137,859 to 124,729 to Diane Douglas, current Superintendent).